Lots of good News in this issue starting with the publication of Penny Hebgin-Barnes’ brilliant new volume on the Medieval Stained Glass of Cheshire and details of massive exclusive discount offers on this and other recent CVMA publications. That’s followed by reports of a spectacular exhibition of medieval art, including stained glass, in Paris; a huge grant for the conservation of York Minster’s Great East window, the largest single expanse of medieval glass in the world; the reopening of Strawberry Hill to the public; a superb exhibition at Canterbury Cathedral of some of the earliest glass in England; details of interesting new websites plus, of course, our always popular Name that Roundel puzzle and the not-to-be missed Diary of events. Our Panel of the Month focuses on a rare seventeenth-century armorial surrounded by quarries showing soldiers practising drill, from Poole Hall, in Cheshire: just one of the many treasures to be enjoyed in the newly published Medieval Stained Glass of Cheshire. 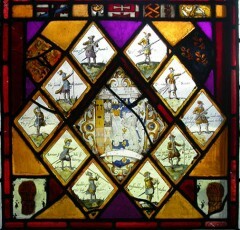 Our Feature article examines some recently discovered Swiss stained glass in a famous British castle. 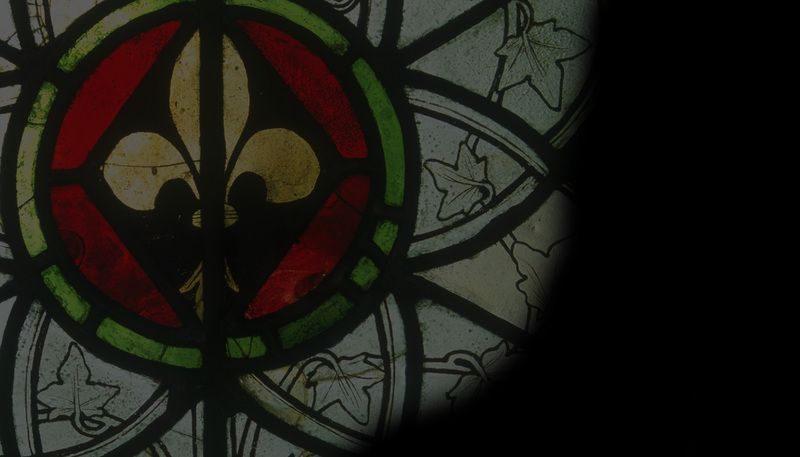 Our Books page is also special with CVMA author David King contributing a major review on one of the most important books on medieval stained glass ever published – a detailed study of a treatise written by a late fourteenth-century Italian glass-painter on the secrets of his craft. Finally, a note of sadness. Last month a glazier fell to his death while installing a new window at Durham Cathedral. As we go online the causes of this tragedy are still under investigation. Tom Denny’s words of appreciation about Michael Lassen are echoed by us all. Our thoughts and condolences are with Michael’s family and friends.